The St. Louis Arc is guided by the Executive Staff which consists of our President and CEO, four vice-presidents, and 16 directors. Each member of the Executive Staff represents the core beliefs of the agency: respect, empowerment, and collaboration. Mark A. Keeley started with the agency in 1989 as Assistant Director of Residential Services and recently served as Vice President of Support Services. Mark’s career has always focused on supporting the entire family, not just the person with the disability. In 1995 Mark designed the agency’s current family reimbursement respite model, which has grown to be one of the largest in the country in terms of the number of families served and hours of respite accessed. He helped facilitate the merger with the Belle Center in 2013 to form the Belle Children’s Services of St. Louis Arc. A licensed clinical social worker, he holds a master’s degree in social work from the George Warren Brown School of Social Work at Washington University. Tim Bradbury has been with the St. Louis Arc since 1990, and has worked to expand residential services in the community. Prior to coming to the St. Louis Arc, Bradbury worked in residential services and case management for Boone County Group Homes and Family Support in Columbia, Missouri. He holds an undergrad degree in special education and a master’s in curriculum development from the University of Missouri. Bradbury currently oversees Residential and Community Engagement Services. Michael Quinn, Ph.D. joined the St. Louis Arc in 2017. Dr. Quinn oversees Belle Children’s Services, along with all autism and behavioral intervention services across the agency. Prior to joining the Arc, Dr. Quinn held the position of Vice President of Children’s Programs at the Milwaukee Center for Independence in Milwaukee, Wisconsin. 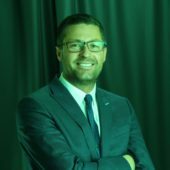 He has a strong background in education, with extensive experience as a special education teacher, college lecturer, and published professional on the subjects of Dyspraxia, ADHD, and Childhood and Developmental Disorders. Dr. Quinn is a graduate of the University College, Dublin, where he earned his Doctor of Philosophy. John Taylor served in various fund raising and marketing capacities for the St. Louis Arc since joining the agency in 1991. Prior to accepting his current position he served as the Arc’s Director of Development and Communications and as Chief Development Officer of the YWCA Metro St. Louis. A Certified Fund Raising Executive (CFRE), Taylor holds a bachelor’s degree in English Literature from New York University and is a member of the Association of Fundraising Professionals, the St. Louis Planned Giving Council, and the Community Service Public Relations Council. Kathy Tisone is a certified public accountant, served the agency in a consultant capacity for more than a year before joining the St. Louis Arc in 1999. Kathy is responsible for the agency’s finance administration, human resources, information technology, the agency-owned fleet of transportation vehicles and facilities. She holds a bachelor’s degree in accounting from the University of Missouri-Columbia and is a member of the American Institute of Women Accountants. Previously she worked at Schmersahl, Treloar & Company, Adrian Baher & Co. and Citicorp Mortgage. Jennifer Adams came to the Arc in 2015. She has served in various capacities for either youth or art focused not for profits for more than fifteen years throughout the country. 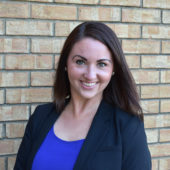 Prior to this, Jennifer worked on behalf of youth with behavioral, emotional and mental health challenges at Great Circle, and individuals who faced challenges associated with addiction at Mission Teens, and in education policy for the Greater Indianapolis Chamber of Commerce. She is originally from Indiana and holds bachelor’s degrees in both English and Modern Language. Tammy is a certified public accountant with many years of experience working for the State of Missouri. During her time with the State, she worked with the Department of Revenue, Office of Administration, and the Department of Social Services. In Tammy’s previous roles, she worked to streamline key functions for the State such as payroll processing and Medicaid reporting. With the Arc, Tammy’s primary focus is on the processes that tie financial functions and people together. 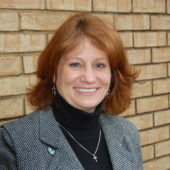 Tammy holds a bachelor’s of science degree in Accounting from Oakland City University in Indiana. 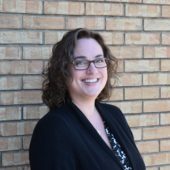 Megan Favazza oversees the agency’s five community engagement (CE) sites, which provide support to adults with developmental disabilities so they can participate in their community on a daily basis. Megan holds a bachelor’s degree from New York University in community based theatre and a master’s in special education from Hunter University. She taught 4th and 5th grade in New York City for three years and ran theatre groups for people with disabilities to help them learn how to express their emotions. Megan joined the Arc in 2004 as a direct support professional in the Arc’s North County CE site before being promoted to coordinator and then director. 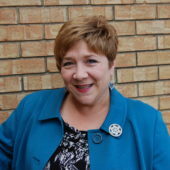 Nancy Fortune joined the St. Louis in 1986 as a direct support professional. In her tenure at the St. Louis Arc, Nancy served as a support manager and has more than ten years experience as a residential coordinator. She holds a bachelor’s degree in psychology from Southeast Missouri State University and has completed graduate classes at Lindenwood and Webster University. 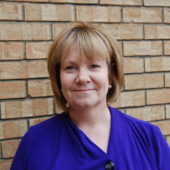 Kate Hannon began working with Belle in 1989 as an Early Childhood Special Education teacher, and has served in a variety of capacities, including Classroom Teacher, Developmental Therapist and Executive Director. As Program Director of the new Belle Children’s Services of St. Louis Arc, Kate manages the daily operations of our Embedded Early Learning Programs, and oversees our teaching staff. She has her degree in Special Education and Education, K-12. 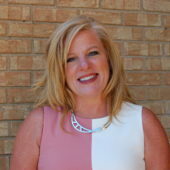 In addition she is certified in areas of Learning Disabilities and Early Childhood Special Education, and she provides special instruction services and evaluations through the Missouri First Steps program. Kate also partners with a wide variety of community organizations in advocacy, inclusive practices, and curriculum. Rhonda Hembree has more than 24 years of experience in providing services and supports that help people with intellectual and developmental disabilities become actively involved in their community through leisure, recreation and volunteerism activities. For 16 years, Rhonda served as St. Louis Arc’s Assistant Director of Leisure Services, and supervised a full range of recreation, leisure, and transition programs for youth and adults in the community. Rhonda holds a B.S. in Recreation and Leisure Studies, with an emphasis in Therapeutic Recreation, from Missouri State. She also has an M.S. in Recreation Administration from Western Illinois University. 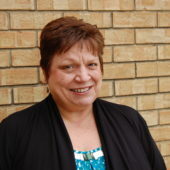 Rhonda has been a Certified Therapeutic Recreation Specialist, and has served as a member on the board of Missouri Parks and Recreation Association (MPRA), and as the board president and secretary of the Missouri Therapeutic Recreation Society (MTRS) in 2003 and 2004. 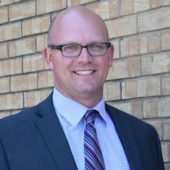 Brian Hubler oversees the agency’s employment department, which includes helping people with developmental disabilities obtain and maintain employment within the community. His staff provides job coaches to assist individuals in learning job skills, interview skills, resume writing, job applications and social skills. In addition, Brian works with local school districts to promote transition planning for students with developmental disabilities after graduation. 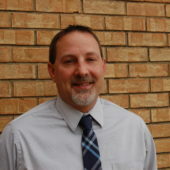 Brian holds a bachelor’s degree in psychology from Central Methodist College in Fayette, Mo. 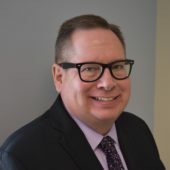 He joined the St. Louis Arc in 2008 from Human Support Services in Waterloo, Ill., where he served as Day Training, Work Services Director for four years. Within that role, Brian oversaw four programs that improved the vocational and daily living skills of people with mental illnesses and/or developmental disabilities. Beth Moeller has been with the St. Louis Arc since 1990. 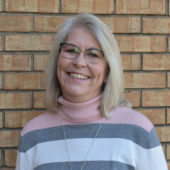 Beth oversees the CONNECT program, which is geared for individuals who require a limited amount of support, but would like help connecting to social, educational and recreational opportunities in their community. Prior to becoming a Director, Beth served as a Residential Coordinator for the Arc. Beth earned her Master’s degree in Teaching from Washington University and is a trained life coach from the Institute for Life Coach Training. 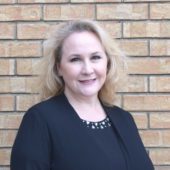 Victoria Parres joined the St. Louis Arc in 2008 bringing more than 15 years of experience in accounting and business management. Vicky previously served in various capacities, including Corporate Controller, for J.W. Terrill where she developed and implemented strategic plans, automated operations, and streamlined processes. A graduate of Saint Louis University, Vicky holds a bachelor’s degree in Business Management with an emphasis in Accounting. Katharine is a registered dietitian and Director of Nutrition Services for the St. Louis Arc. 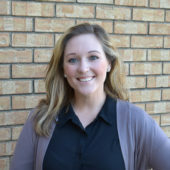 Katharine has worked for the St. Louis Arc since 2011 and recently received her Master’s Degree in Medical Nutrition Therapy with an emphasis in pediatric nutrition from Saint Louis University. Currently, she is working to establish nutrition programming at the Arc that will include nutrition education classes for staff, supported individuals, and families, as well as individualized medical nutrition therapy services. Katharine hopes to provide unique resources on cooking skill development, grocery shopping, and budgeting, as well as the diet-disease relationships. 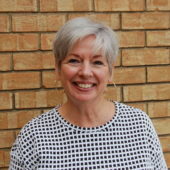 Debbie Schmitz joined the St. Louis Arc in 2014 and is responsible for mentoring and supporting Childgarden staff, along with developing curriculum that incorporates a family-centered inclusive philosophy. Debbie has spent 28-years working as both a teacher and program director, supporting families and children with and without disabilities. Debbie received her B.S. in Childhood Development from Southwest Missouri State University and later received her Master’s in Elementary Education, with an emphasis on Early Childhood from the University of Missouri-St. Louis. Kathleen Schue oversees the Arc’s communication and public relations strategy and planning. She began her career in publishing, graphic design, marketing and communications in the private sector before moving to the non-profit world. Kathleen has an extensive background in development, fundraising, events, and communications. Kathleen received her bachelor’s degree in Fine & Performing Arts and Communications (double major) from Saint Louis University and her MBA through the Olin Business School’s EMBA program at Washington University in St. Louis. Stephanie Scott oversees efforts to improve quality of services at the St. Louis Arc, including accreditation through CQL. 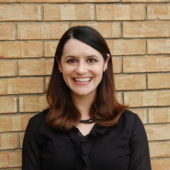 Stephanie joined the St. Louis Arc in 2010 as the Coordinator of Quality Enhancement, and in 2019 began overseeing staff training and development. She has worked to build capacity for internal evaluation, develop systems for information and data sharing, and implement an annual agency-wide Quality Enhancement Plan. In 2014, Stephanie was recognized as one of ANCOR’s Emerging Leaders. She holds a master’s degree in Social Work from the University of Missouri – St. Louis, and became a Licensed Clinical Social Worker in 2015. Sharon Spurlock has worked with people with developmental disabilities since 1982. She worked in residential supports and employment services and oversaw the St. Louis Arc’s Community Integration programs for 19 years prior to moving into Family Support. 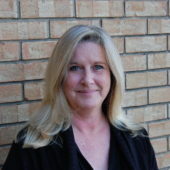 Sharon is recognized as an expert in person-centered philosophy and advocacy. Sharon’s passion is helping people with disabilities and their families find great supports in the community. She began her current job directing St. Louis Arc’s family support services in 2008. 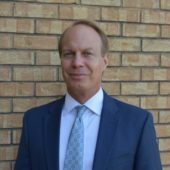 Craig Strohbeck oversees Residential Services at Dautel Circle. 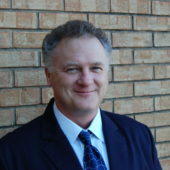 His background includes strategic planning, program development, person-centered outcomes/evaluation, and staff coaching. Craig has his B.S. in Recreation and Park Administration from Illinois State University, and is also a certified therapeutic recreation specialist. In addition, Craig also gives his time to the following organizations: Missouri Board of Healing Arts, Advisory Commission on Speech/Language Pathology and Audiology; Therapeutic Recreation Association of Greater St. Louis, and St. Charles County Coalition of Service Providers. 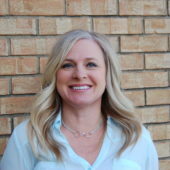 Theresa Strothkamp joined Belle in 1999 as a Developmental Therapist and has served as a therapist, Sibshop facilitator, and program director for Belle’s Center-based preschool programs. As a Program Director of the new Belle Children’s Services of St. Louis Arc, she currently provides direct special education, advocacy and therapy support in a wide variety of settings. Theresa works with the Missouri First Steps program and supervises special education programming at six local charter schools. She is a Board Certified Behavior Analyst, and holds a bachelor’s degree in early childhood education and master’s degree in Early Childhood Special Education. Gabrielle oversees the St. Louis Arc’s Transition Services, supporting individuals to successfully transition from adolescence to young adulthood (16 to 26 years of age). In this role, Gabrielle effectively deploys supports in the areas of education, employment, independent living and social development. Gabrielle started as an intern with the Arc in 2012 and has worked in Leisure Services and Supported Employment before taking on her role as Director of Transition Services. 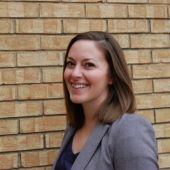 Gabrielle holds a bachelor’s of science degree in child development and family studies from Missouri State University. Mary Anne Tolliver joined the Arc in 1984 as a direct support professional. Fifteen years later she was named to her current role, where she supervises the St. Louis Arc’s Dautel Circle. 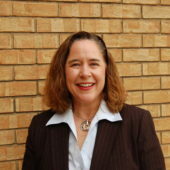 Mary Anne holds a master’s degree in public administration from Southern Illinois University—Edwardsville. She is area representative for the Missouri chapter of the American Network of Community Options and Resources (ANCOR) as well as the committee chair for the St. Louis area (SLANCOR). 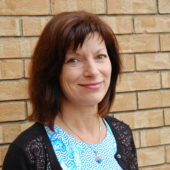 A national speaker on end of life care, Mary Anne has completed certification with the National Task Group on Intellectual Disabilities and Dementia Practices for Dementia Capable Care of Adults with ID and Dementia.